How to become an addict – The process of addiction. I haven’t met anyone yet who deliberately set out to become an addict. Some people intended to do all the drugs or drink all the alcohol they could, but mostly they did not expect to really become addicted. How does this thing called addiction develop and why don’t people stop before it is too late? I don’t remember Alcoholic being on the list of occupations in our school career classes. Even without instruction plenty of people go on to become addicted. You would think that highly educated people would know better than to put themselves at risk. Clearly learning and teaching the process of addiction has been left out of our educational system. Here is how we teach the process of addiction in substance abuse and co-occurring disorder classes. You too could become an addict in five easy steps. Not everyone goes through all these steps in exactly this order, but most people do. You could go through all of the steps quickly or slowly. Stay on the using course and you should eventually get to the end point of addiction. After the addition, doctors call this chemical dependency; you will find death, incarceration or psychiatric facilities. Step One – Experimentation with substances. The first time for most kids is sneaking some of their parent’s cigarettes or finishing a parent’s beer. Plenty of kids tell me they drank for years emptying out dad’s bottle of vodka half way and then topping it off with water. This process even happens in families where the parents don’t smoke or drink. Boys usually are introduced to substances by other male relatives, an older brother, cousin, uncle or friends. Girls are often given something by a boyfriend or would be boyfriend. For a while, this may go a long hit or miss. The person try’s this or that, likes some things and does more of that drug or does not like the feeling and does not do that again. People from non-smoking and non-drinking homes are not immune from this process. They may find a friend to mentor them in drug use or they may delay the experimentation till they leave home for college, the military or after marriage. 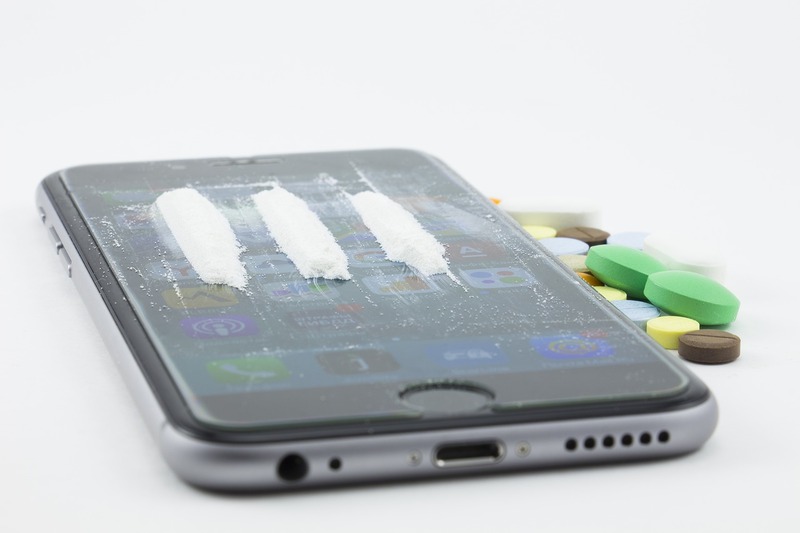 Step Two – Social substance use. At some point in this process, the person finds that all their friends are into a particular drug. It might be that their crowd smokes cigarettes. Once the underage smoker has lite up that second cigarette there is an 85% chance they will smoke the rest of their life. But maybe your group of friends gets together somewhere and drinks a few beers or smokes some weed. That shouldn’t lead to an addiction right? Well not directly. You still have time to avoid that consequence but you are moving closer. Drug users of any type tend to clump together. Each drug of choice has a culture. Beer drinkers party together and so do weed smokers and heroin injectors. In the beginning drug use is a social thing. When the group you are in or want to be in gets together they drink this stuff, smoke this stuff, do this drug, you do it also or you stop hanging out with them. Why do you want to spend every Friday night with people who are drinking if you don’t drink? Step Three – substance use becomes a habit. One week all your friends are gone, out of town, and here you are stuck at home alone. It is Friday night – this is the night that you drink a few beers or smoke some weed right? So you drink a few or light one up. At this point using a particular drug has moved from being a social activity you do with others to a habit you have. It may stay there for a long while. You may keep your beer drinking or smoking weed to Fridays nights, only but most people don’t. If you like the drug you would like to do it more than one time a week. If you don’t like it you may move on and try something else. Maybe find a new group of friends and adopt their drug of choice. You might take up drinking coffee or smoking methamphetamine. One thing about drugs, mild or strong is that they are reliable. You do them and they chance the way you feel. If you like the head change you want more. If you do not like the change you probably will pick a new drug you do like, or stop altogether. But that means you have to get new friends. So your trip down the addiction road continues. Psychological dependency develops after a while. One week you find you are alone, you want to drink or smoke and you have to go somewhere with the family or somewhere there will be no drugs. You get upset, you get angry, you may even pick a fight with your family and storm out. Then it is their fault you had to go get high. At this point, you want the drug more than ever before. You need the drug to get by. You think about her all the time. And when you don’t get to do your drug you are angry about it – or depressed or anxious – until you get to get high again. You are not yet physically addicted but you have developed a psychological need for the drug. This is the last stop on the path before you reach full chemical dependency. And you are thinking at this point that the drug is your friend and your helper. Physical Addiction can be the last house on the block. One day you can’t get the drug. You become sick, psychically or emotionally ill. You may end up in the hospital, the psychiatric ward or the jail. Suddenly you realize that even when you want to quit when you try to go for a few days without that drug, you just can’t do it. Once you have reached the point of addiction, doctors’ call this chemical dependency, you have very few choices. You can quit, which turns out to be very difficult without help. You could go to some meetings, get a sponsor and work some steps in the process of change. You might go to a program or see a counselor or you might just decide that you are helpless and you will stay addicted. Lots of people chose to stay addicted. The A.A. big book tells us that beyond addiction, if you chose not to accept help, you are headed for misery, jails, institutions or death. But as with all the stages before this, the choice is of course yours. Lots of addicted people cycle through psychiatric facilities as the drug addiction warps their thinking. We call this joint problem of addiction and mental illness co-occurring disorders or dual diagnosis. Any questions about my description of how an addiction could develop, be maintained and result in a co-occurring addiction and mental illness? This entry was posted in Drugs and Addiction and tagged Addiction, addiction treatment, Chemical dependency, co-occurring disorders, drug experimentation, drug pusher, Drug use, dual diagnosis, Recovery, social drug use by David Joel Miller. Bookmark the permalink.